We all have specific seasons that we journey through. 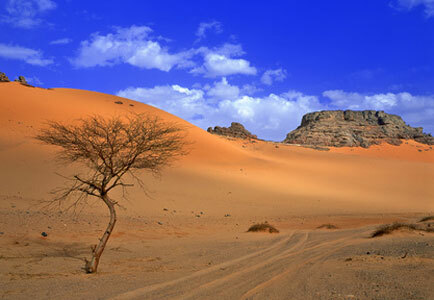 Mine seems to be one of dryness... like a desert. Have you ever felt that way? "I yearn for your answers God. You know my prayers, my hopes, dreams and desires. I long for Your promises to be complete. Sometimes the waiting period seems unbearable. God your will seems cloudy or unclear. The waiting seems excruciatingly endless." Perhaps your desire is for your broken marriage to be restored, your rebellious teenager to return or a family member's health to be healed. Maybe you are waiting for the right person to be your soul mate. You wait. You pray. You wait some more. The Bible is full of people who waited. Godly people like Abraham and Sarah waited. They had to wait till they were old to have their first child. Joseph was sold as a slave by his own brothers, only to end up in prison for years before his promise of authority became a reality in his life. Why did God make them wait? Why does God allow us to wait? There can be long periods of waiting for us all in our different situations and circumstances. And in those waiting times our faith is put to the test. I know I get impatient and sometimes doubt. However, I am learning, that in the waiting, there is joy in this journey. Yes, it's possible to be happy in this waiting room we are in. While waiting I am learning more about who God is. Ps. 119:123-124, "My eyes strain to see your deliverance, to see the truth of your promise fulfilled. I am your servant; deal with me in unfailing love, and teach me your principles." One day in frustration I actually cried out loud to God..."I am out of prayers!" What I really meant was I am out of words. I have prayed circles around some of my concerns. I know that God has heard me, and as I dried my tears, my course of action was clear. I must have blind faith in His time. My need to wait overrides my need to understand. My need to control takes a back seat to His omnipotence. My need to understand is overshadowed by His peace. My next step is illuminated as I surrender to full trust. My need to feel complete is waived as He weaves a beautiful tapestry. As my eyes strain to see His promise, I have hope and joy as I wait to see His plans unfold. My raw dependence on His strength carries me through. Dear God... perfect your faith in me no matter...how long it takes. Have you had to wait on God for a specific answer to prayer? What did you learn in your waiting? Good stuff, Janelle! I've found that when I lose my patience with waiting, that's when God can use me. He needs me to give over my control first. ~ Carol! This really hit home for me. I've felt this way for years now even more so now than ever. This comforts me so much it brings me to tears. During to waiting im experiencing I've matured and learn not to give up hope that God's will, will happen right on time. I have to be patient. Thank you miss Janelle, this was my frist time tuning into the station since I've mood to okc a month ago. Thank you so much! Still waiting. Nice to know I'm in good company. 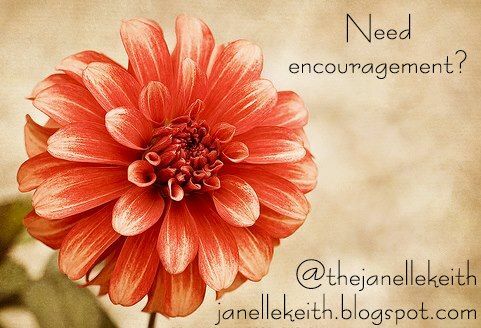 Good stuff Janelle Keith. I JUST GET A FEELIN' GOD IS SMILING and PROUD of YOUR OBEDIENCE to HIS CALL IN YOUR LIFE MINISTRY! I can see the light imminate from your posts! Thanks for Being YOU! Its so great to see Family living out GOD'S Purpose and it Shows! Very honest, very emotional, very thought provoking!!! "In the waiting room" is a tough place to be!! I am in one now! Thanks for sharing! God showed me to dance in the desert. I have learnt that you can't force His hand: He would do what He will. Then He reminds me why He does it all, because He loves me. I hold onto that knowledge like a lifeline! In Case you Missed Yesterday! "Stick with Me kid, I'll take you places"